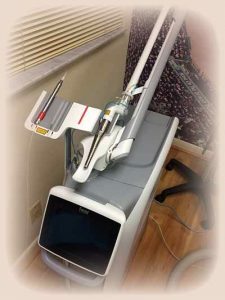 The dental office of Clive Rosenbusch, DDS is proud to be the first dental office in Boca Raton, FL to offer Fotona’s NightLase therapy; which is a non-invasive, patient-friendly laser treatment for improving your overall sleep. NightLase reduces the effects of sleep apnea and decreases the amplitude of snoring by means of a gentle, laser-induced tightening effect caused by the contraction of collagen in the oral mucosa tissue. Our professional team works hard to ensure that your laser treatment experience is pleasant and comfortable. If you have any questions about our services, please feel free to contact our dental office in Boca Raton, Florida. Call us at (561) 394-7888. Patients who snore or who have sleep apnea can now be treated using oral appliances and non contact, non invasive laser treatment of the soft palate. The laser used is the most powerful, up to date Fotona Lightwalker ASP powered laser, which has the advantage of 2 different wavelengths. The office of Dr. Clive Rosenbusch in Boca Raton, Florida, has been doing this treatment since June 2017. All patients are initially screened using a free app on their phone, to determine the extent of their snoring. They also fill out a detailed questionaire and have a diagnostic examination, and a snoring index and sleepiness scale is determined. If the patient is determined to have moderate to severe snoring, a sleep study is ordered to determined if they have sleep apnea. This can be an in office study, or an at home study can be ordered which costs about $350. Many medical insurances pay for them. Mild snoring can be treated using the Fotona laser alone. This takes 3-4 visits and costs $500 per visit. There is no pain, it just feels warm and the after effects can either be very little or a feeling like you have had a hot cup of coffee. The visits are 21 days apart. The procedure takes about 30 minutes. If snoring is moderate to severe or if you have sleep apnea as well, it is advised to have a CPAP machine in addiction to the laser or a Oral appliance that positions the lower jaw forward and hence the tongue forward to open up the airway posteriorly. This device is measured for in this office and sent to a speciality sleep lab and takes about 10 days. Cost is an average of $1750-$2000. The combination of laser and the device reduce snoring and sleep apnea from 75-100 %. Other factors which have to be taken into consideration, is the size of the tonsils and nasal obstruction. An ENT evaluation is indicated in some patients. Also overweight people and people with wide necks are advised to go on a diet and do an exercise program to lose weight, as these factors can increase snoring and sleep apnea. Alcohol is also discouraged before sleep as it relaxes all the muscles around the mouth, neck and throat and increases the snoring. The office of Dr. Clive Rosenbusch is excited about using this new combination therapy of laser and oral appliances using the latest Fotona Lightwalker laser and is having excellent results since introducing it in July of 2017. If you would like to schedule a free consultation, or have additional questions about the NightLase procedure, please contact us our at (561) 394-7888.